The tunnel mucking machine is also known as the tunnel excavation loader or tunneling haggloader. 1. With full hydraulic driven and operated by operating grip, the tunnel mucking machine is easy to operate and convenient to maintain. A person who can drive excavator or maintain an excavator can able to maintain and service the machine. 2. 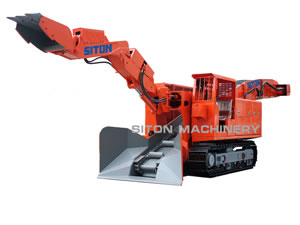 The structure of our tunnel mucking machine, or tunnel excavation loader, is compact and it is flexible to operate. The tunnel mucking machine can work in the roadway that is wet or with water. It can also work on a big working scope and load all sections without dead angle. There is no need to remove waste by manpower. 3. The tunnel mucking machine, or tunneling haggloader, consists of motor power and hydraulic system. Users can adjust the excavating power easily according to different mining circumstance. The tunnel mucking machine can also provide a more safe, comfortable and relaxed working conditions to workers. Our tunnel mucking loaders for big slopes are LWLX-80, LWLX-100, LWLX-120, LWLX-150, LWLX-180 and LXLX-60. For level surfaces, we have LWL180 NEW, LWL-80 37NEW, LWL-80 NEW, and LWL-120 ENEW tunnel excavation loaders. Note: The above parameters are only for references. They may be different from the actual parameters. 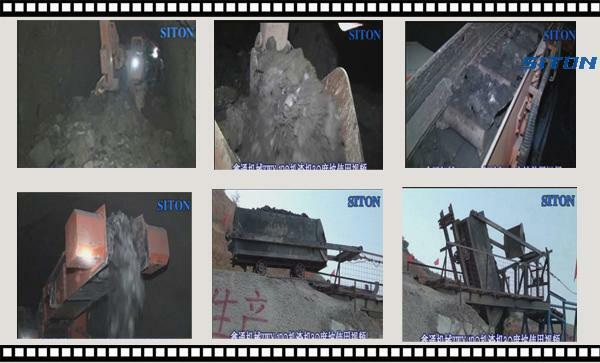 Company Brief of Siton: As a professional manufacturer and supplier of tunnel mucking machine (in some place also named as tunnel excavation loader or tunneling haggloader) in China, Siton is professionally provide customers mining equipment since 1992. Our products mainly include mucking equipment, tunnel excavating equipment and mining haulage equipment. We also provide underground mucking loader(underground excavation loader), crawler mucking loader, tracked haggloader, etc. Additionally, all our products have passed the security certificate and the patent certificate of national grade. Besides, our company possesses more than 60% market share. We establish business relationship with customers from Canada, India, Kazakhstan, Vietnam, Morocco, Algeria, Laos, Nepal, etc. If you need tunnel mucking machine (tunnel excavation loader, tunneling haggloader), please don't hesitate to contact us.